This new and improved remote antenna runs on a lower voltage so battery drain is minimized. 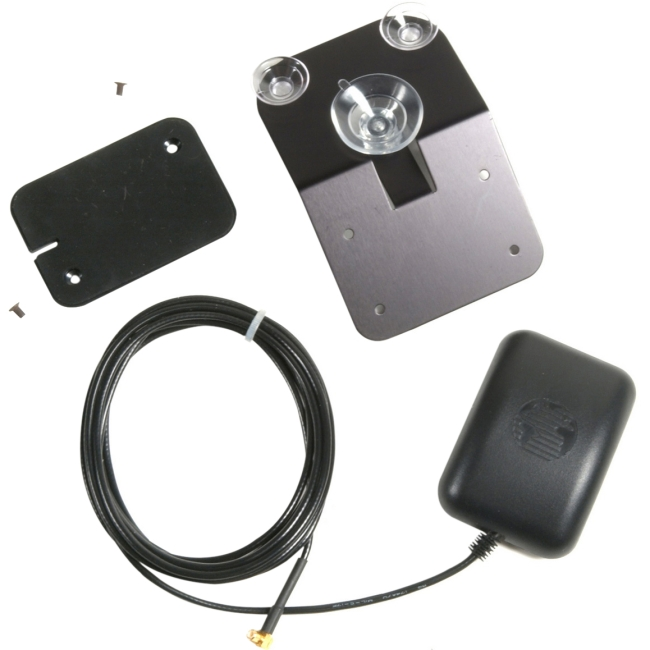 Comes with two mounting options: a magnetic mount for the outside of your vehicle or boat, and a suction mount to hold the antenna in place against the inside of your windshield or window. With 8 ft (2.44 m) of cable and MCX connector. Size: 2.75" (6.99 cm) L x 2" (5.08 cm) W x 0.75" (1.91 cm) H.